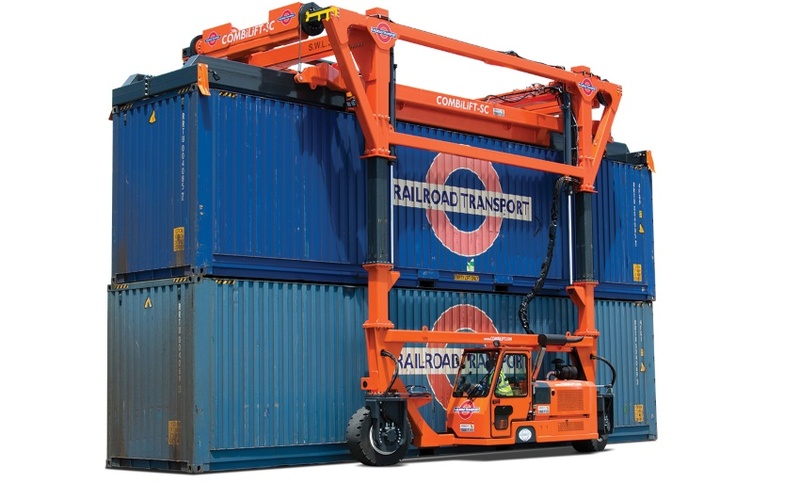 As a 'solutions provider' to its customers, Combilift Australia has researched the market and identified a need to provide alternatives when standard products fail to meet customer requirements. Combilift Australia is the vehicle for these products. In response to the need to supply to a major client, a forklift that could handle long loads in a safe and efficient manner, a worldwide search was conducted. 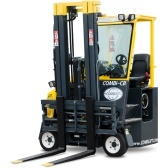 The Combilift forklifts stood out as the product that would eliminate the deficiencies of traditional forklifts in this area and improve both safety practices and space utilisation. As a 'solutions provider' to its customers Combilift Australia's ability to research and source specialised equipment globally has led to over 330 Combilift and Aisle-Master forklifts being sold into Australia as well as attaining the rights to the Spanish built rough terrain forklift Agria. The Combilift is an engine or battery electric powered multi-directional forklift designed primarily for handling long loads in confined areas. Suitable for use both inside and out, the machine can operate in aisles as narrow as 2 metres. The fully synchronised 4 way steering system provides excellent manoeuvrability. This patented feature, which turns all three wheels automatically within seconds, is activated at the push of a button. The Combilift has established itself as the No. 1 selling multi-directional forklift in Australia with over 230 Combilifts working throughout Australia in the timber, steel, plastic pipe, plasterboard and window industries. The distinctively designed Aisle-Master is an engine or electric powered articulated forklift that will do the work of both a conventional forklift and a reach truck. With the flexibility to work in very narrow aisles, plus unload trucks in unpaved yards, the Aisle-Master articulated design offers unbeatable manoeuvrability, providing faster load cycle times and reduced driver fatigue. Warehouse storage can be increased significantly utilising the Aisle-Masters ability to work in narrow aisles with some case studies showing 50% - 80% more pallet spaces in the same area. The Agria rough terrain forklift has been specifically designed to work in areas under difficult conditions, where other machines cannot reach. The Agria is widely used in the building and agricultural industries as well as other specialised industries. Combilift Australia also offers a full range of professional floor cleaning machines from Fimap. The sweeper and scrubber products range from a walking scrubber designed for various applications under 1,000m² to ride on sweepers suitable for logistics centres and car parks over 10,000m². Also available is a ride on outdoor sweeper suitable for roads, footpaths, car parks and heavy industry applications. Combilift Australia's after market support is second to none. Combilift Australia stock the manufacturers recommended spare parts holdings, with service technicians trained nationally by Qualified Service Representatives. Combilift Straddle Carrier. Click for more product information. Combilift CB. Click for more product information. Agria Rough Terrain. Click for more product information. Combilift C3000. Click for more product information. Aisle-Master electric powered articulated forklift. Click for more product information. Fimap sweeper. Click to visit the Combilift Australia website. Your enquiry has been sent to Combilift Australia.